Check out training, week 1, week 2, week 3, week 4, week 5, and week 6! (Note: I totally forgot to take a picture this week, so I hope you don't mind that this is a recycled one!). It’s all about perspective, right? This week was rather up and down, with excitement as I attended my first client meetings and disappointment when some of the introductory meetings I coordinated were canceled. There is no doubt that no one really likes to fail, but as Watson points out you have to look at it as a learning opportunity and embrace it so you can begin to realize success. Overall, the positivity continued this week especially as I got my first in person client experiences. As it is the start of the second half, I got to sit in on a planning session for a client and loved seeing how the team coordinates and strategizes their efforts to ensure they are providing the maximum value. From observing what the various levels of leadership contribute, to hearing about the impact of recent organizational changes, I was happy to learn how a direction is chosen and acted upon. If you remember, I mentioned last week that I had been working very hard to speak with a particular client. At the start of this week I finally got on the phone with them and had an informative and enjoyable conversation. I’m coming to see more and more that most people genuinely want to be helpful, especially if you approach them with appreciation. The conversation went so well, in fact, that I was invited to go onsite to learn more about their current technology initiatives and get exposure to their industry. That is scheduled to take place in two weeks and I am so looking forward to it! The highlight of the week was getting to go to in person client meetings. 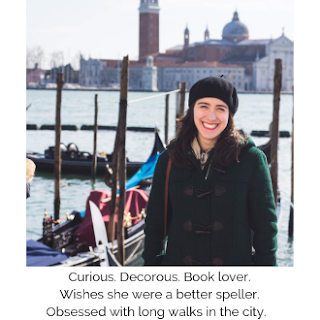 I was lucky enough one morning to run into an IBMer, who also went to my school, who was heading out to speak with a client. Not just any client, mind you, but a brand that I have admired for many years. When he invited me to join him I was thrilled and excited to see how an actual sales call plays out. While I have experience in the classroom learning about the ideal format of a call, being there for a real one was wonderful. There were certainly parallels, but I was more interested in the differences, especially to see how different approaches are necessary depending on which role you are speaking with. The offices were glamorous, the people were stylish, and the IBMer had a successful meeting, so all in all it was a great experience. I did, however, mention that that there has been some disappointment this week. I’ve been working hard to arrange introductory meetings for the Software Client Leaders (SCL) I have been working with, and some were scheduled for this week. There I was, ready to listen in and finally see my hard work come to fruition, when some were cancelled. I felt badly for the SCL because I had booked up his time, and I felt discouraged because I had been waiting for this moment. Oh well, onward I pressed, realizing that this is all part of the process (but still secretly feeling bummed out). I was on my way to what was supposed to be a client lunch meeting when I got a call from the seller I was meeting who told me the client had canceled. It was good to put in perspective that I am not the only one who gets canceled on! He and I still had lunch and he helped me realize that these sort of bumps in the road do not have to be viewed as negative. Rather, each step continually gets us closer to where we want to be. We have to be willing to experience the no’s so we can find the yes’s. Right after lunch I had another introductory meeting scheduled and thankfully it wasn’t canceled. In fact, I was able to open the call for the first ten minutes and got to put into practice what I had observed and learned about from school and through the course of the internship. I made introductions, asked questions surrounding the role of the client, and started to get a high level view of his priorities. Once the call was done I felt on top of the world because I had been building up to an opportunity like this for quite some time. Another great learning experience of the week was going with my host manager to a client meeting. We have been having conversations about how deals are structured and the steps that are taken to make them a reality. He’s told me about his approach and while it is good to learn about it in theory, the best part was seeing him and his team in action. 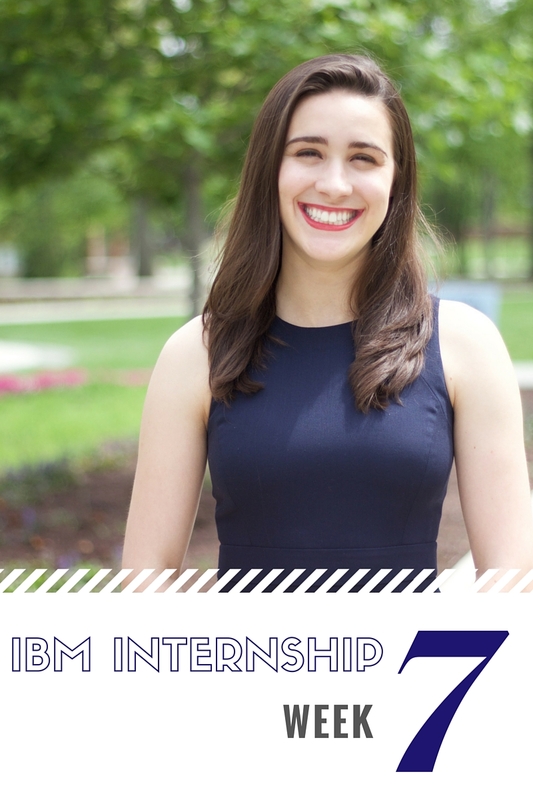 Throughout my entire internship every IBMer has been welcoming to me and have allowed me to ask questions and watch what they do, which I am so grateful for. This strongly contributes to how enjoyable and positive my experience has been! In previous posts I’ve mentioned the project I am working on to increase engagement in the offices of New York City, and now that things have begun to calm down from the end of the half, I was able to meet with the others I am working with. While I will be able to help start this project, more will have to be done after my internship is over. I’ll continue to work on it until ending the internship and hopefully it will grow to benefit every IBMer in the city. Week 7 has proven to be another good one and I feel I have learned the most this week. Stay tuned to find out how my highly anticipated onsite meeting goes and how I continue to gain more exposure to client interactions as the internship progresses!